Why Won't Google Assistant Work With My Phone? 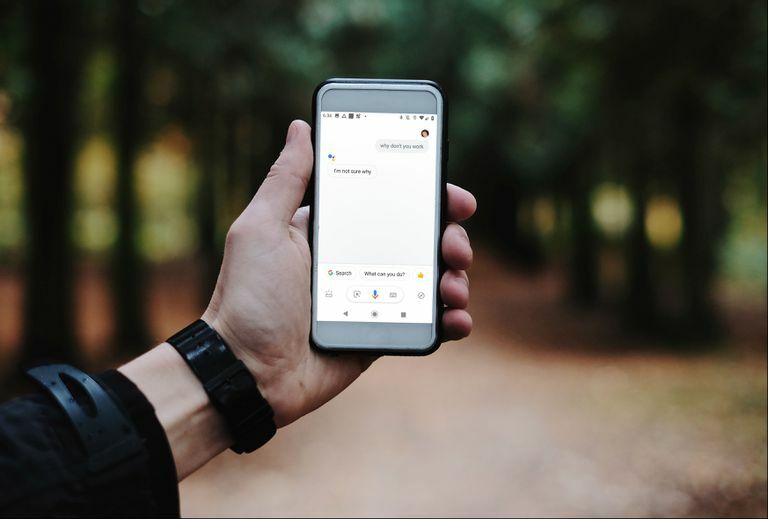 Google Assistant is a useful tool that allows you to interact with your phone through spoken commands. It's also a functional virtual assistant that can launch apps, pull up information, and perform a lot of other tasks. If you've found that Google Assistant won't work with your phone, you could have a problem with compatibility, settings, corrupted data in your Google app, or any one of several other issues. When Google Assistant first appeared, it only worked on a small number of phones. Compatibility has increased since then, but your phone still needs to meet some minimum specifications. If your phone doesn't meet these requirements, it can't run Google Assistant. Google Assistant works with a lot of languages, including Chinese (Traditional), Danish, Dutch, English, French, German, Hindi, Indonesian, Italian, Japanese, Korean, Norwegian, Polish, Portuguese (Brazil), Russian, Spanish, Swedish, Thai, and Turkish. However, voice recognition works best with English. Make sure that Google Assistant is enabled. Google Assistant is active by default on some devices, but there are cases where you have to turn it on first. If your phone requires you to enable Google Assistant before using it, start by opening the Google app, then tap the ☰ (three vertical lines) or More menu icon. Then navigate to Settings > Google Assistant > Turn On. If you don't see these options, then Google Assistant isn't installed, or it's on by default on your device. Some Android devices require you to download the Google Assistant app, rather than including it with the Google app. If that's the case with your phone, download it directly from the Google Play store. Make sure that "Okay Google" detection is turned on. Open the Google app, then navigate to More > Settings > Voice > Voice Match. Then make sure that Access with Voice Match and Unlock with Voice Match are turned on. Make sure your microphone is working. Google Assistant won't work if it can't hear you. Perform a visual inspection of your microphone, and make sure it isn't blocked by debris. Cleaning a microphone is similar to cleaning a charging port, and you can use things like compressed air and toothpicks to remove dust, dirt, and other materials carefully. Try using Google Assistant in a quiet area. If the "Okay Google" and "Hey Google" commands don't work, and you're in a noisy area, move to a quiet space and try again. Google Assistant is pretty good at picking your voice out of a crowd, but excessive background noise can keep it from working correctly. Check your connectivity. Google Assistant doesn't run solely on your phone. The app transmits your voice commands to Google's servers, which do the heavy lifting. Make sure that you're able to access the internet, and check to see if other apps that require data connectivity work. Try switching to a Wi-Fi network if one is available. Reboot your phone. In some cases, there may be a problem with your Google Assistant or Google app that a simple reboot can fix. Search Twitter for #googleassistant, check Google's Google Assistant support forum, and take a look at the subreddit that's devoted to Google Assistant. Doing this type of search can reveal if there's an overarching problem with Google Assistant as a whole or a new bug with Google Assistant that pertains to your phone or the version of Android that you use. If you don't see people complaining in any of those places, then the issue is probably on your end. Disable Bixby, if your phone has it enabled, as it can interfere with Google Assistant. The same is true if you have Alexa on your phone. Make sure that Google Assistant is the only active virtual assistant on your phone, and check to see if it works. Update Google Play Services if you don't have the most recent version. Google Assistant requires Google Play Services, so falling behind in updates can cause it to stop working. Update Android if you don't have the most recent version. If you have Android 4.4 or older installed on your phone, Google Assistant isn't available. Update to a newer version, or upgrade your phone if you can no longer update the OS. While Google Assistant is compatible with Android 5.0 and newer, there could be some conflict between your phone hardware, the version of Android you have installed, and Google Assistant. If you aren't running the most recent version of Android available for your phone, fully update it and then check to see if Google Assistant works. Retrain the Google Assistant voice model. Google Assistant is only able to understand you if it has a good voice model. If it wasn't set up correctly in the first place, or if the voice model is corrupted, it won't work right. If Google Assistant still doesn't work, and you had recently updated the Google app right before the problem started, that could be the issue. Google sometimes breaks Google Assistant functionality when they update the Google app, and it's also possible for the app data on your phone to get corrupted. When that happens, your best option is to clear the locally stored data and roll back to an earlier version of the app if possible. In some cases, uninstalling Google app updates, and then reinstalling the update, will fix your problem. In other cases, you'll have to uninstall the update and then wait for Google to implement a fix that works with your specific hardware. Go to Settings > Apps > Google. Instead of Apps, you may see Apps and Notifications, or another similar option. Tap Clear Storage and Clear Cache. Return to the previous screen, and tap the ⋮ (three vertical dots) or More menu, if one is available on your phone. Tap Uninstall updates, then tap OK. This option is not available in all versions of Android. If you don't see it, you won't be able to attempt this fix. Reboot your phone, and check to see if Google Assistant works. If Google Assistant still doesn't work, try updating the Google app. If it still doesn't work at that point, you'll have to wait for Google to release a fix.